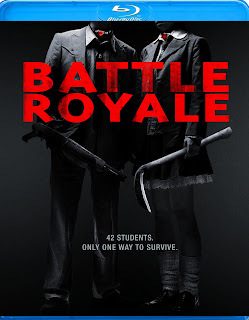 Check out the red band clip and a new behind-the-scenes clip from the upcoming North American release of one of the most controversial films in history - BATTLE ROYALE! 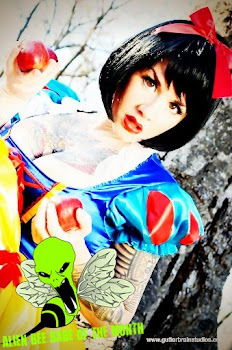 BATTLE ROYALE. A title that has shocked, thrilled and unnerved audiences. A film whose fiendishly simple premise has inspired many imitations, including the upcoming The Hunger Games motion picture. Based on the 1999 global best-seller by Koushun Takami, the futuristic tale first came to the screen in 2000, directed by the legendary Kinju Fukasaku. Authors, filmmakers and film fans the world over consider the film and its 2003 sequel Battle Royale II: Requiem sacred cinematic classics. And now, fans can own them on high-definition Blu-ray andDVD! In the near future, the economy has collapsed, unemployment has soared and juvenile crime has exploded. Fearful of their nation's youth, the Japanese government passes The BR Law: Each year, a 9th grade class is sent to a remote island where they will be locked into exploding neck collars, given a random weapon, and forced to hunt and kill each other until there is only one survivor left. Chiaki Kuriyama and screen legend Takeshi Kitano star in the movie that has been argued, acclaimed and banned around the world. More than a decade later, it remains one of the most savage, shocking and emotionally powerful films of all time. Now experience thecomplete Director's Cut of Kinji Fukasaku's uncompromising masterpiece -- nominated for 10 JapaneseAcademy Awards -- available uncensored and unrated for the first time ever in America.